Are we losing the battle? Polio cases up 166 per cent over last year. There is no cure, but there are safe and effective vaccines. The strategy to eradicate polio is therefore based on preventing infection by immunising every child until transmission stops and the world is polio-free. There is no cure for polio, only treatment to alleviate the symptoms. Heat and physical therapy is used to stimulate the muscles and antispasmodic drugs are given to relax the muscles. While this can improve mobility, it cannot reverse permanent polio paralysis.Polio can be prevented through immunization. 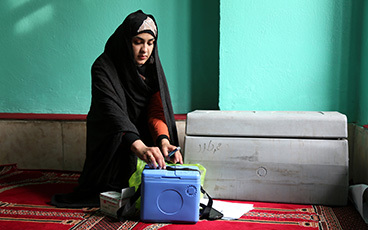 Polio vaccine, given multiple times, almost always protects a child for life. Summary of new viruses this week: Afghanistan – one new wild poliovirus type 1 (WPV1) case. Democratic Republic of the Congo ‒ Based on positive contacts, two negative AFP index cases classified as circulating vaccine-derived poliovirus type 2 (cVDPV2). Nigeria – three new cases of cVDPV2. Papua New Guinea – two new cases of circulating vaccine-derived poliovirus type 1 (cVDPV1). See country sections below for more details. To assess if the 2016 trivalent-bivalent oral polio vaccine “switch” was successful, a group of researchers from Imperial College London, WHO and the Bill & Melinda Gates Foundation analysed stool and sewage samples from 112 countries collected in the first 15 months after the switch. Study results were published this week in The New England Journal of Medicine. Read more.